This is probably the most common type of spreadsheet. Most of the spreadsheets in this category are fairly small and are developed to quickly solve a problem or answer a question. Here's an example: You're about to buy a new car, and you want to figure out your monthly payment for various loan amounts. Or perhaps you need to generate a chart that shows your company's sales by month, so you quickly enter 12 values and whip out a chart, which you paste into your word processor. In both of the preceding cases, you can probably input the entire model in a few minutes, and you certainly won't take the time to document your work. You probably won't even think of developing any macros or custom dialog boxes. 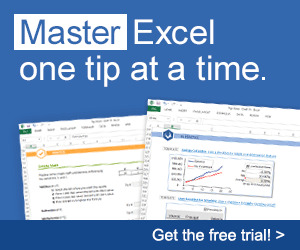 In fact, you might not even deem these simple spreadsheets worthy of saving to disk. Obviously, spreadsheets in this category are not applications.